One of my favorite non-baseball photos ever taken on a baseball field. Just incredible. 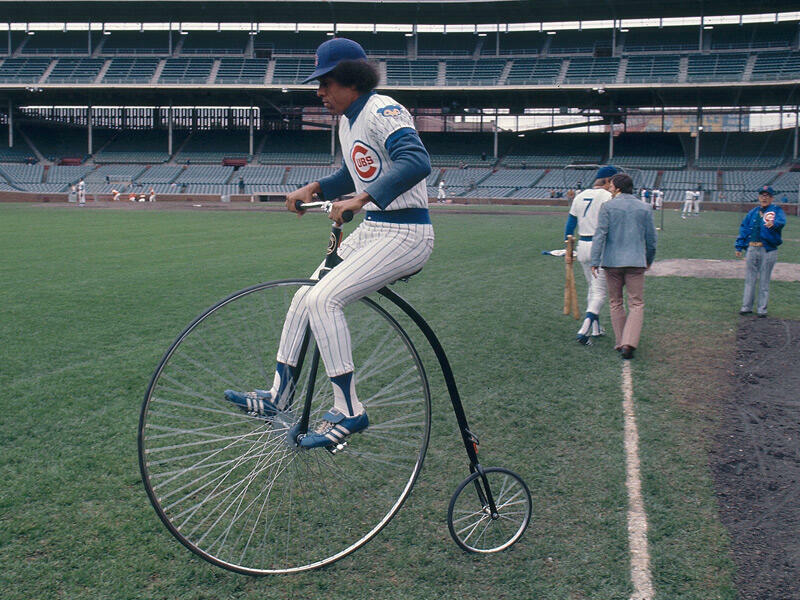 From Andy Gray, that’s Jose Cardenal riding an antique bike before a May 1975 Cubs-Astros game. The bike, the unis, the stirrups, the hair… so good. This entry was posted in Baseball and tagged Cubs, cubs bike, Jose Cardenal. Bookmark the permalink.